Considering the system has a solid port of Fortnite, it’s clear that the Nintendo Switch can handle a good online battle royale game. 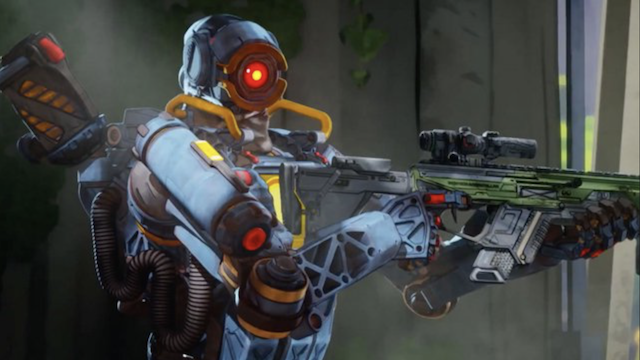 That said, fans have already begun clamoring an Apex Legends Switch version. But the question is, will we ever see it? Well, Respawn says it doesn’t currently have one planned but will notify us when or if it happens. We know that the studio is very busy at the moment, between updates for Legends and this little game known as Star Wars: Jedi Fallen Order. That leaves little room for development on a new platform, at least at the moment. But Respawn definitely knows that the demand is there. Speaking with Wired Tech Support, the studio’s lead producer, Drew McCoy, addressed the demand. However, he stayed tight-lipped when it came to confirming a port of the game for the platform. “If Switch was coming, we would tell you and we would blast it across the world,” he explained. After all, it’d be a huge get for Nintendo, and bring in more players for the game. Electronic Arts’ support for the Switch in general has been on the light side. We’ve seen some titles in the FIFA series get releases on it. And recently, it did bring a port of the platforming game Unravel Two to the system. But it could be providing more support coming this fall, given the rumors that the engine is working for the platform. For now, though, we’ll simply have to wait and see what they have planned either way. Fortunately, if something were to happen, that won’t be long, as EA Play will take place this June.